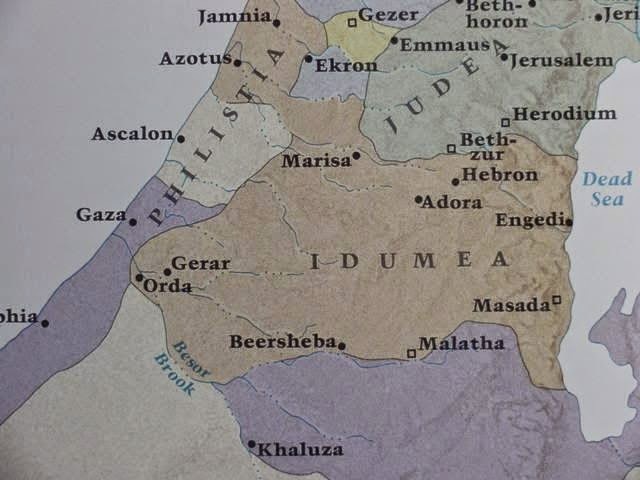 Hebron (where Sarah lived) and Beersheba (where Keturah lived) are in Idumea. 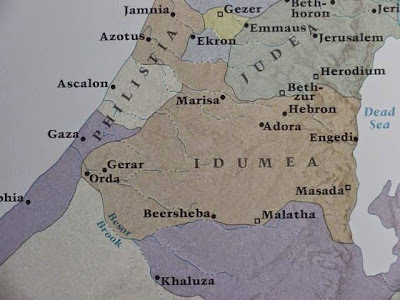 and was entirely in the region of Edom or Idumea. The Horites were a caste of ruler-priests who were devotees of Horus and his mother Hathor, the patroness of Horite metal workers. The word "Horite" is the English variant of the word Horim, the term Jews use when speaking of their ancestors. Hathor and Horus are archetypes of the Virgin Mary and Jesus Christ. They are the principal characters of the proto-Gospel among Abraham's Nilo-Saharan cattle-herding ancestors. The Horite rulers of Edom are listed in Genesis 36. Abraham's territory was entirely in the region of Edom. It extended on a north-south axis between Hebron and Beersheba and on an east-west axis between Engedi and Gerar. This region was called Idumea by the Greeks which means "land of red people." Horite priests were attached to the rulers of many territories in the ancient world. Some are associated in ancient Egyptian records with the Shasu on Nubia and Edom. Lists of place names in Nubian temples of Soleb and Amara West record six toponyms located in “the land of Shasu.” A monument of Ramesses II claims that he “has plundered the Shasu-land, captured the mountain of Seir”in Edom; a 19th Dynasty letter mentions “the Shasu-tribes of Edom” and Ramesses III declares that he has “destroyed the Seirites among the tribes of the Shasu.” Clearly, the Egyptians regarded the Shasu as a prominent part of the Edomite population which is described in Genesis 36. The Horites controlled a vast region from Southern Arabia to Syria. Petra reflects Horite belief and the rulers of Petra and the other Nabataean cities had Horus names. Petra is in the red sandstone mountains of Edom, a territory in modern Jordan. According to Genesis 36, Edom was ruled by the Horite clans of Seir and Esau the Elder who married Adah. Esau the Elder was a contemporary of Seir the Horite. Esau the Younger married Oholibamah. It is possible that Esau the Younger was Jacob's half-brother, rather than his twin. Their father was Isaac, but they would have had different mothers, as Horite rulers had two wives. The territory over which they ruled was rich in copper and within the Horite caste there were highly skilled metal workers. The patroness of their mines and smelting operations was Hathor, the virgin mother of Hor who was called "son of God/Ra." The Horite metal workers of Edom used the same techniques as the Horite metal workers who lived in the Timna Valley in the Wilderness of Paran. Esau the Elder's son Eliphaz married Seir's daughter who was named Timna. 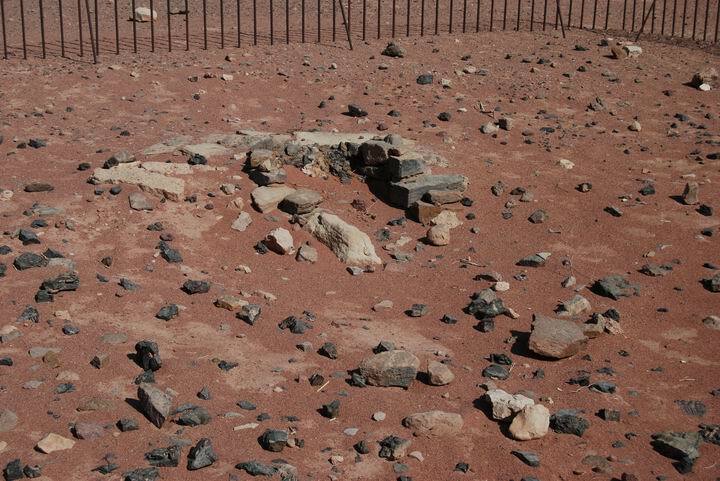 The soil at Timna is also reddish-brown. 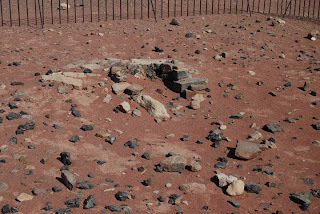 Some scholars believe that there must have been a Timna in Edom as well in Paran, but it is more likely that the Horites controlled the metal working industries from Egypt to Jabal Harun (Aaron's Mountain) in Jordan. Timna is a Horite name. Edom is a variant of the Hausa odom which mean reddish-brown and the Hebrew adam which also means reddish-brown, the color of the soil from which God made the first man. The original context of the story of the creation of Adam is Nilotic. Adam is derived from the root DM which refers to blood (dam in Hebrew). This is a reference to the color of the soil from which Adam was made. Abraham's ancestors lived where red soil washed down from the Ethiopian Highlands. These soils have a cambic B horizon. Chromic Cambisols have a strong brown or red colour. 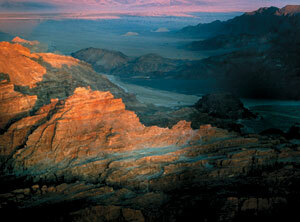 The copper in the hills of Edom resembled the soil color of ancient Kush. The oldest known Horite temple at Nekhen, dating to 4000 B.C., is located in the part of the Sudan that was ancient Kush. Esau is called "Edom" and the rabbis made much of how he sold his birthright for a pot of red stew, but this idea comes from a later period than Esau who lived approximately 1800 to 1730 B.C. (Middle Kingdom of Egypt). According to Yoruba oral tradition, Esu was the third king of Ketu. The kingdom of Ketu is in the present-day Republic of Benin. Abraham's cousin wife was Ketu-ra. The Jebusites (Ijebu) who controlled Jerusalem were divided into clans and one clan was called Ketu. Abraham interacted with the Hivities and Hittite clans of Het who are listed in Genesis 10. HT is the Hebrew and Arabic root for copper - nahas-het. Nahash means serpent. As an adjective it means shining bright, like burnished copper. So the clans of HeT were Bronze Age coppersmiths. The serpent image was sacred for them, just as it was for Moses and the people of Israel in the wilderness. The Hittites spread into Anatolia and introduced iron work there. They didn’t call themselves “Hittites” (an anachronism) but Nes or Nus (Nuzi), and their language was called Nesli. They were Afro-Asiatic metal workers and the root of their original name is NS. I'm confused about the assertion that Jacob and Esau were half brothers. The Bible clearly records that they were twins. There is no indication that Isaac even had another wife or concubine besides Rebecca. This fits because Isaac is a type par excellence of Christ. Brothers are sometimes spoken of as "twins" in ancient accounts. If they were both firstborn sons by different wives, as was the case with Haran and Nahor, Moses and Korah, Isaac and Joktan - there was often competiton over birthrights, etc. This is seen in the conflict between Jacob and Esau. Isaac is one of many biblical figures who pattern Jesus for us, though all are imperfect: Abraham; Esau (who forgave the brother who betrayed him), Moses, Elijah, David, etc. Yes! There are many linguistic connections between Hausa and the words found in Genesis. Hebrew is really an African language. The word ‘khry’ or Horite in English is a transliteration of the Egyptian word ‘khry’ [GSL (Gardiner’s Sign List) D2-D21-N1-A1 or D2-D21]. Khry means ‘head man’ or ‘master’. The name Sh3yr or Seir in English may be a Semitic dialectical pronunciation of Wsir (GSL Q1-D4-A40) or Osiris in English. So, the Horites may have been descendants of the lesser Egyptian officials who oversaw the mining operations in Edom. They either intermarried with the locals or took the local women as concubines. Their offspring retained the Egyptian title ‘khry’ or master, which, of course lost its meaning after the Egyptians left. The Edomites were the people with whom these descendants of the Egyptian overseers (Khry or Horites in English) interbred. The Biblical character Edom is a personification of the Edomites or the locals who eventually became the Judeans. The sixth king of Edom, Saul Ben Qysh, was the 1st king of Judah. He was from the tribe of Benjamin which means ‘son of the south’ or Edom. Qysh is the the dialectical pronunciation of Qwsh who was the chief deity of Edom. At Genesis 36:2, in the Masoretic text, the grandfather of one of Esau’s wives is called “Zibeon the Hivite.” At verses 20 and 24, however, he is shown to be a descendant of Seir the Horite. “Horite” may mean merely “cave dweller,” from Hebrew chor (“hole”). This would make Zibeon a Hivite who was a cave dweller. Did Saul have two wives? Was one of them Ahinoam, who later married David? Horite refers to a caste of ruler-priests. Jews calls their ancestors "Horim" which is a variant of Horite. The idea that all Horites lived in caves is erroneous. They did bury their dead in caves, mainly as secondary burial.